The arrival of 2013 heralds a New Year expected to continue recruitment and retention challenges experienced throughout 2012. HR pros will be required to tend not only to the concerns of retention and recruiting but to provide employees with career development guidance while improving their own business acumen. 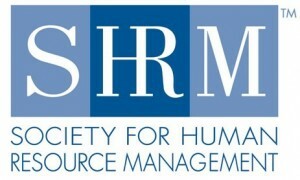 The Society for Human Resource Management (SHRM) has identified the four most prominent concerns for HR over the next year. 1. Recruiting problems are expected to continue as issues with talent shortages persist. The pace of technological development is ensuring that many job candidates lack the education or certifications necessary to secure positions requiring its use. The constant requirement for new skills is creating an ever widening skills gap even as the unemployment rate remains high. 2. Retention will remain difficult as the job market improves as many employees have only remained at their same positions out of fear of their inability to find more work. High-performance employees are especially vulnerable as new jobs open up offering new challenges. 3. Recruiting the right talent will continue to dog employers in addition to the emerging need for career development paths. A key method for keeping high-performing employees is to offer chances for obtaining advanced and rewarding work; especially the younger generation of workers. 4. HR professionals can also no longer rely on their HR knowledge alone. They must improve their business knowledge and understanding of complex legal issues as well in order to ensure their organizations remain in compliance with relevant laws.